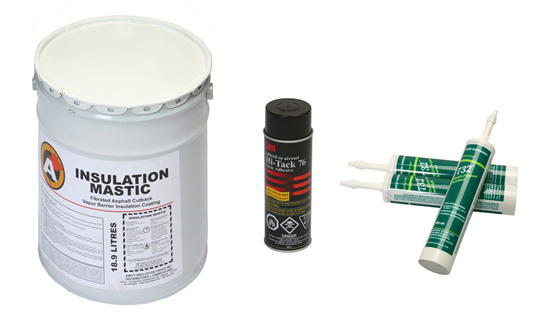 Adhesives & Tapes - Amity Insulation Group Inc.
Products such as our Protherm Vapour Barrier Mastic protects against atmospheric corrosives, chemical dusts, fumes, fogs, and moisture. The cured coating forms a highly impermeable, durable, and well-bonded finish that withstands tough conditions, making it well suited to insulation projects in the industrial sector. Amity caulking sealants are also tough and durable, resistant to sunlight and extreme weather, with excellent adhesion, and flexibility. These sealants/adhesives readily bond to many substrates and are supplied in removable, reusable, re-sealable tubes to save time and protect metal, glass, fiberglass, ceramic, and repainted surfaces.